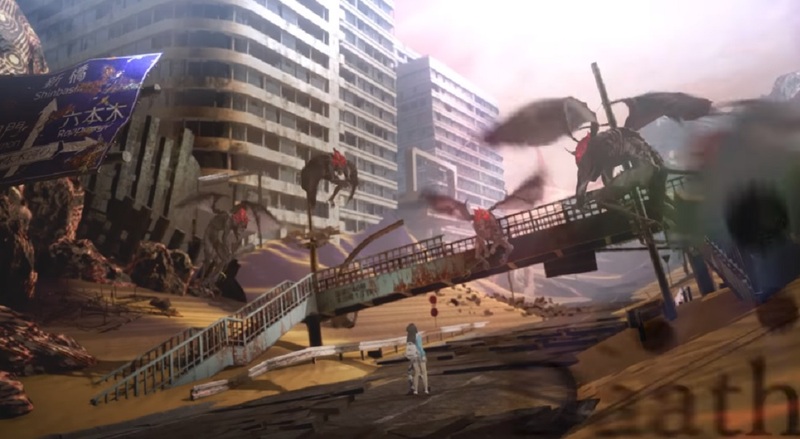 We knew it was coming, but it doesn't make the fact that Shin Megami Tensei V is exclusive to the Switch (for now) any less surprising. Atlus seems to be putting a lot of faith into the system, but due to some recent information following its reveal, we now have a better look at why they chose it. Speaking to Famitsu, the game's director (who previously handled SMT IV) explained that on the Switch, players can "enjoy the game's story in HD on their TVs, and grind to level up and fuse demons in portable mode in the comfort of your bed." I mean, he isn't wrong! I've been playing a ton of Switch games just like that, constantly taking the system out of the dock and putting it back in. And given how much grinding the average SMT game has, I think he's onto something. In other news, this iteration is going to be "characteristic of the troubled times," will feature the iconic Shinagawa Station, and it'll be the first game from Atlus in Unreal Engine 4.